They’ve talked about it for months, they’ve made you buy the perfect dress, and they’ve decided on their hair and makeup. Your child’s prom is the best way to finish school or sixth form, and a wonderful opportunity to get dressed up and enjoy the special occasion. Hiring a horse and carriage for prom will ensure they make an entrance to remember. 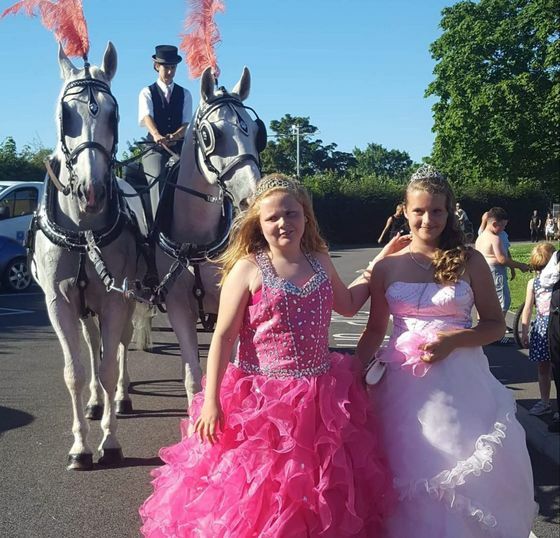 Here at Acorn Carriage Hire, in Faversham, Kent, we’ll do everything we can to ensure their prom transport meets their every expectation. As we’re a popular provider of carriages, we have a range to choose from. So, you can relax knowing that there’ll be plenty of space for your children and their friends. Additionally, we have two white (grey) horses and two or four black horses for you to choose from. We’ll even dress the carriage in the colours you choose, making it extra special for your children. From our base in Kent, we offer our horse and carriage hire throughout the South East of England. We’ll arrive at your chosen destination with plenty of time to spare, so you can take all the photos you like before we whisk your children away to their prom venue. As soon as everyone hears our horses’ hooves, they’ll have everyone’s attention. 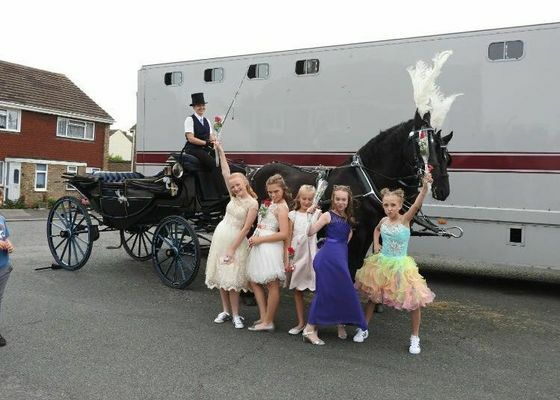 All our horses are experienced and incredibly safe, and have the perfect temperament for getting your children to their prom. A horse and carriage is a great way of making the occasion unforgettable, so hire our team today. 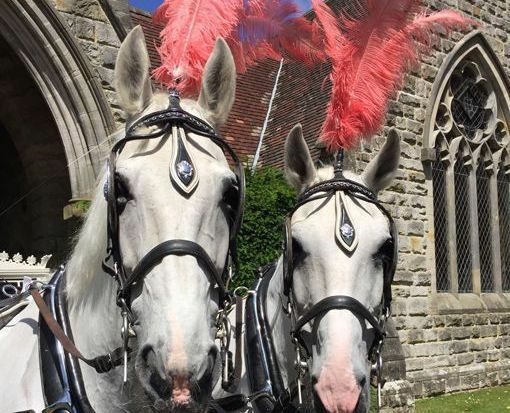 To hire a horse and carriage for prom, contact our team, in Faversham, Kent, and enquire about our prom transport solutions.